A headland of western Gondor, ruled as a hereditary princedom by the descendants of Galador during the last millennium of the Third Age. The first Lord of Dol Amroth was Galador, who lived between III 2004 and III 2129. His father Imrazör is stated to have lived in Belfalas, so Galador seems to have been the founder of Dol Amroth, as well as its first Lord, which must place its beginnings during his lifetime. Tolkien nowhere gives us the specific date of its foundation. 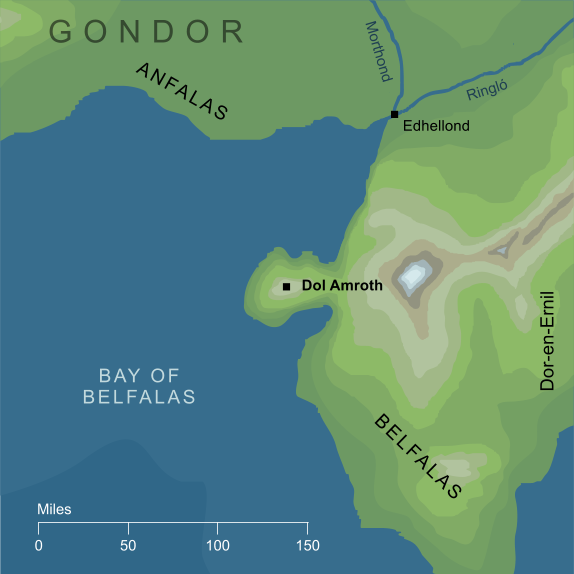 Dol Amroth takes its name from Amroth the former King of Lórien, who was lost at sea near the headland in III 1981, only about a century before Dol Amroth was founded. Indeed, according to the tradition of his house, Galador's mother was Mithrellas, a Silvan Elf who had accompanied Amroth's beloved Nimrodel on her southward journey from Lórien.  Original content © copyright Mark Fisher 1998, 2001, 2003, 2009. All rights reserved. For conditions of reuse, see the Site FAQ.